Wisconsin: Operation Badger Justice~ Anti-Union Bill Restraining Order now INDEFINITE! WI Update: Operation Badger Justice~ Anti-Union Bill Restraining Order now INDEFINITE! Bargaining bill restraining order remains in effect; DA rests case Judge Maryann Sumi’s temporary restraining order against the implementation of the collective bargaining bill will remain in effect indefinitely. The plaintiff in the case, Dane County District Attorney Ismael Ozanne, rested his side of the case this afternoon, but Sumi said she could not set a date to take more testimony because the GOP legislators named as defendants in the case are still covered under legislative immunity. Assistant AG Maria Lazar had asked for the restraining order to be vacated, arguing the hearing could not conclude without the participation of defendants Senate Majority Leader Scott Fitzgerald, Senate President Mike Ellis, Assembly Speaker Jeff Fitzgerald and Assembly Majority Leader Scott Suder. But Sumi said that just as those lawmakers are entitled to their day in court, they are also not entitled to the suspension of the current restraining order. “It remains in effect until further order of the court,” Sumi said, adding that she doesn’t know when that will be. The judge said the defendants in question could waive their immunity, allow their attorneys to move forward without them or wait until their immunity expires. Bob Jambois, attorney for Assembly Minority Leader Peter Barca, responded that if those lawmakers “find this to be an inconvenience,” they would still be able to pass the bill again with 24 hours notice of a conference committee hearing and legislative sessions. Here are some of the absolutely least deserving candidates for high office. Since 2005, Citizens for Responsibility and Ethics in Washington (CREW), has compiled a list of the dirtiest, most corrupt critters to scurry across the halls of Congress. The annual report shines some light on the double-dealing and back-scratching of some shady characters, and its release generally gets good play among political reporters. But 2010 is the year of the upstart, insurgent candidacies — with dozens of “outsiders” on the scene dedicated to “cleaning up Washington,” “taking our country back,” etc. 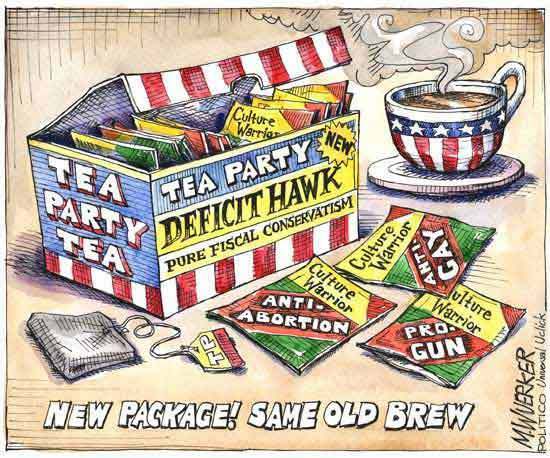 It’s the year of the Tea Parties, and no incumbent is safe. So it’s entirely appropriate that CREW should release a new list this year, one that looks not at the worst sitting members of Congress but at the dirtiest candidates — the people most likely to rank among the most corrupt in Congress if they go on to win their elections. From James Traficant, running as an independent candidate in Ohio just 14 months after his release from prison on charges of bribery, racketeering and filing fraudulent tax returns, to Alvin Greene, an unemployed and apparently indigent Democratic Senate candidate out of South Carolina who can’t explain how he came up with the $10,000 fee required to file — here are 12 of the absolutely least deserving candidates for high office. Roy Blunt is a candidate in the Republican primary for the United States Senate in Missouri. For the last 14 years, Rep. Blunt has served in the U.S. House of Representatives in the state’s 7th congressional district. As a member of Congress, Rep. Blunt came under fire for a variety of issues including employing the same corrupt tactics that forced his mentor, former Texas Rep. Tom DeLay, to resign. Rep. Blunt’s ethical issues were documented in CREW’s 2006 report on the most corrupt members of Congress. In 2005, I was the youngest person elected to the new Afghan parliament. Women like me, running for office, were held up as an example of how the war in Afghanistan had liberated women. But this democracy was a facade, and the so-called liberation a big lie. On behalf of the long-suffering people of my country, I offer my heartfelt condolences to all in the UK who have lost their loved ones on the soil of Afghanistan. We share the grief of the mothers, fathers, wives, sons and daughters of the fallen. It is my view that these British casualties, like the many thousands of Afghan civilian dead, are victims of the unjust policies that the Nato countries have pursued under the leadership of the US government.